Selvaraghavan directed NGK has released its first single track and has gone onto become trending across social media platforms. Not just Suriya fans, but the whole industry has come forward and showered this Yuvan Shankar Raja composition, especially for the raciness. 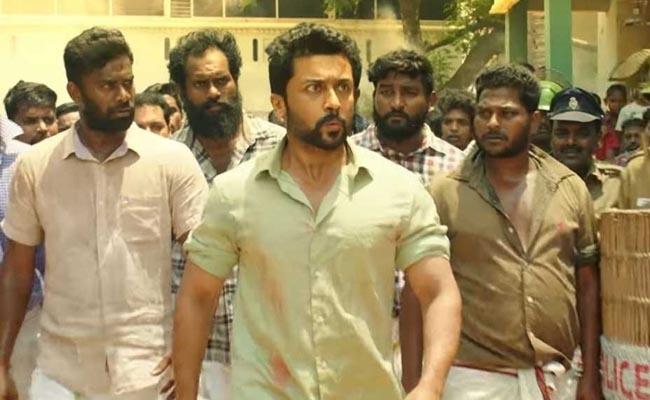 Since the single track ‘Thandalkaaran..’, sung by Ranjith KG has managed to beat the expectations, fans of Suriya have already started demanding for the release of the rest of the track. Produced by SR Prabhu under the banner of ‘Dram Warrior Pictures’, NGK stars Suriya, Sai Pallavi and Rakul Preet Singh in central roles. All set to hit big screens on May 31st, NGK has already raised the expectation bar with the release of teaser, followed by this single track.